Older diesel vehicles with thick exhaust do more than just smell bad; they hurt the environment and human health. When it was time to upgrade an aging bus fleet in Murmansk, Russia, Pacific Northwest National Laboratory scientists Nazar Kholod and Meredydd Evans conducted a pilot project to understand the impact on soot emissions. Their work culminated in a brochure that explains how the newer, cleaner buses made significant improvements in air quality, human health, and climate. Diesel engines, like those in Murmansk's buses, are one of the primary sources of soot in the Arctic. Older diesel engines don't completely burn their fuel, which causes them to release soot, also known as black carbon, in their exhaust. The soot particles don't spend much time in the atmosphere, and quickly settle to land. In the Arctic, the particles deliver a one-two punch when they build up on snow and ice. First, much like a black auto on a sunny day, the particles soak up sunlight energy, which increases melting. Second, by absorbing sunlight before and after it reaches the Earth, a blanket of soot reduces Earth's albedo, or total amount of sunlight that gets reflected. In his remarks at the Legislative Assembly of Nunavut Iqaluit, Canada, U.S. Secretary of State John Kerry commented on the soot problem. "Once it's released, this dark soot collects on the surface of snow, visible to the naked eye-covered sea ice as well-and it absorbs the solar radiation and then it acts as a blanket that traps heat. It doesn't take a Ph.D. to know that the combination of heat and ice produces melting." Kholod and Evans are from the Joint Global Change Research Institute (JGCRI), a partnership between PNNL and the University of Maryland. For this Environmental Protection Agency-sponsored project, they were working for the Battelle Memorial Institute alongside collaborators from the Murmansk State Technical University and World Wildlife Fund (WWF) Russia. A brochure detailing the benefits and outcomes of the project. Enlarge Image. 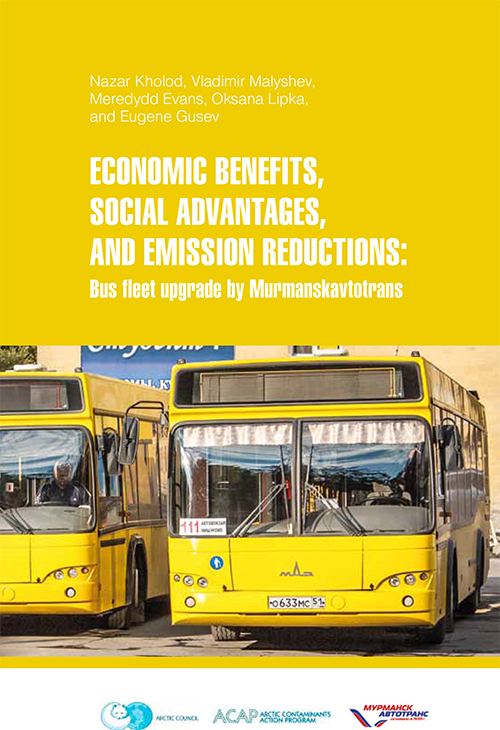 After participating in a seminar on black carbon led by PNNL researchers and the other partners, Murmanskavtotrans, the largest transportation company in the Murmansk region, replaced older buses with new ones that met a higher emissions standard. The upgraded buses produced 90 percent less soot, and a welcome effect on the company's bottom line. In addition to the benefits of less pollution and better air quality, the upgrade significantly decreased bus fleet operating costs, because the newer buses have higher fuel efficiency and lower breakdown and maintenance costs. Taking the initiative to meet a higher emissions standard has also put Murmanskavtotrans in a market-leading position, as the newer buses make them more competitive for receiving contracts. Finally, the upgrade provides improved working conditions for the staff and a higher quality service to riders. "I remember, too, when the engines started in the maintenance facility, it was impossible to stay in—your eyes were full of tears," said a Murmanskavtotrans employee. "Now, we have a completely different situation. One can stand close to the bus and not smell the exhaust." Reference: Kholod N, V Malyshev, M Evans, O Lipka, and E Gusev. 2015. 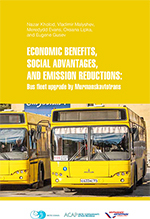 "Economic Benefits, Social Advantages, and Emission Reductions: Bus Fleet Upgrade by Murmanskavtotrans." Arctic Contaminants Action Program (ACAP) Summary Report, 24 pp., published by the Arctic Council Secretariat. ISBN: 978-82-999755-5-1 Available for download here. Research Team: Nazar Kholod and Meredydd Evans, JGCRI; Vladimir Malyshev and Eugene Gusev, Murmansk State Technical University; and Oksana Lipka, WWF Russia. 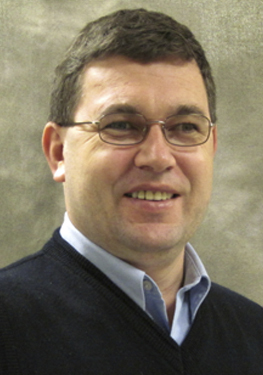 Kholod is a post-doc research associate at JGCRI working on energy and environmental issues. 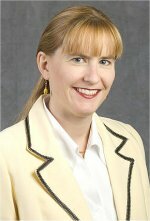 Evans is an energy policy expert with over 20 years of international experience and an author of numerous books and articles. Acknowledgements: The project was funded by the U.S. Environmental Protection Agency, through an interagency agreement with the U.S. Department of State. This project is part of the Arctic Black Carbon Initiative. U.S. government participants are the EPA, the U.S. Department of Energy, the U.S. Department of Agriculture, and the U.S. Forest Service. The project reports to the Arctic Council through the Arctic Council's Arctic Contaminants Action Program. Additional information: Secretary of State Kerry's remarks are available as a PDF.